All right, we are officially live! Everyone welcome to our Daily Huddle episode 2. Yesterday was actually our first daily huddle that I am hosting every single day where I answer five questions. You ask me a question and I will answer every single one of them in detail. We’re actually going to do this every day from Monday to Friday and most likely we’ll do it at random times. Most of the time we’re going to do it around 6 PM Pacific which is around 8 PM Eastern and that’s what I’m actually going live with our daily huddle. Today is actually our second day with our daily huddle and as some of you guys can see the topic is going to be Facebook ads struggle for Shopify store. We actually have a lot of people here with us right now on YouTube and simply on Facebook. It looks like everything is great. I got Ryan on YouTube. Crazy bar leaked TV that’s a pretty awesome name. As I can see I got on Greek, Carlos Lima. I actually got Elizabeth. I got my buddy John Dolorico who just joined us. Anceta said, “Hi, you look so young.” Yes, I got the Asian genes that’s why I look so young at the end of the day. Travis said, “Hey Fred the man!” I’m getting a lot of people piling on right now. 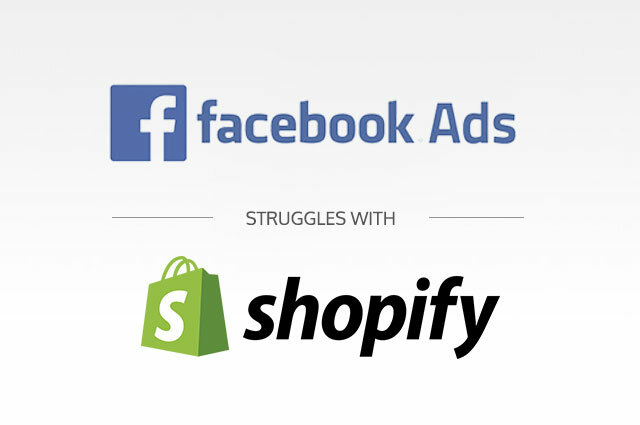 Again, like I said earlier today’s topic is going to be all about Facebook ads struggle for Shopify store.We have actually a lot of people messaging and asking specifically about Facebook ads. 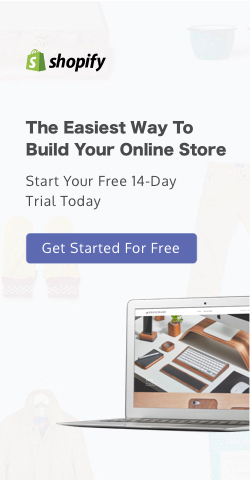 Let’s be honest when it comes to e-commerce Facebook ads is actually one of the staples and one of the most important traffic sources when it comes to a Shopify store which is really an e-commerce business. With that we actually selected five questions today that kind of revolves around this subject, so we’re going to dive right in, right now but before we actually do, so put in a “1” in a comment box if you guys are excited and put it a “2” if you are on YouTube right now. I just want to see excitements coming in and obviously if you are on Facebook give me more of those love symbols, I want more love symbols. I want it like a whole pile of them coming in right now at the same time. I absolutely love them when I actually see it. All right they’re starting to flood in. It seems that there’s actually a delay with Facebook, out of my surprise, I’m not sure why there’s a delay. I’m curious to see how many people are actually on YouTube right now. I can’t really figure out and see. All right I’m getting a lot of love symbols coming in. Let’s start our second episode of our daily huddle. [0:03:29] Question 1.1: FB Ad- How do I target competitors' audience (including their FB page fans) the right way? (I've tried using their company names in the past) Please advise. That’s a great question! I know that in our space right now there has been some software and tools that are pretty much in the grey area. It’s not really the legit way of doing it. Facebook actually doesn’t like it by scraping the Facebook IDs of anyone who is in the group or on a Facebook page and then a survey ask to them.If Facebook finds out; your account will get suspended. So the real way of actually doing it and I would have to say it’s unfortunate about it. You would actually have to see if you’re able to target them through the interest targeting. If it’s actually a very small audience size you won’t be able to do so. Technically, I would have to say you are basically stuck in that realm of things. Now you can, however, if you wanted to take the risk yourself then you can actually go find some software; I’ve seen a couple online where they simply just scrape all the Facebook users’ ID and simply advertise to those people who they can’t even find that interest targeting within the Facebook ads. Now, is this going to be a recommended way of doing it? I would have to say NO because you’re basically being vulnerable to getting your ad account suspended and I highly do not recommend that. So, what is the best way that you can actually do is the following. If you found a Facebook page that is your competitor’s, a lot of times these competitors if you actually go to their page, they may like or follow other pages too. You simply want to, number 1 look at what other pages do this Facebook page follow so that you yourself can actually see if there is a bigger market that you can go after because the truth is if you are having a competitor, let’s say one of your competitors is in the baby niche. Well, baby niche, guess what Babies R Us. It’s going to be a great place to go after, a great interest target to go after or another one maybe Children’s Place or whatever, I’m just making—well Children’s Place is definitely a retail store that you can go after and they have a way bigger audience size and they may share similar audience to your competitors than you can actually take a look at. On the other hand, you can also use the audience insight. Sometimes the audience insight will give you targeting or give your audience information that is not going to be available through ads in the ad network itself. So, you can simply see if you can actually find that Facebook page or your competitor through the audience insight and basically look at what other page likes or what other categories or what are the pages those audiences actually follow and go after the bigger piece of the pie. That’s what I was suggesting you do. Question 1.2: Google ads - I want to start Google ads, But I still don't know enough to get started. Could you please teach us more? (I've watched your Google ad video) Please make more videos to get beginners started. Now to your second question, which is really not about Facebook, it’s more about Google, you asked, Google ads I want to start Google ads but I still don’t know enough to get started. Could you please teach us more? I have watched you Google ad video, please make more videos to get beginners started. Again it seems like Google has been a very big topic and a lot of people are asking me to actually create some video training on Google. If you would love me to actually create some new Google training to release to the public, I’m not going to ask you for your credit card information. Put in the word ME, write it in the comment box and I want to see if you guys want me to really create some Google video training. I know that I obviously have a lot of training on Facebook but I hardly or never really talked about Google so I mean I can do it and if you guys can tell me; put in a ME if you guys want it. I want to basically make sure that this is what you guys want and I can spend some time on creating more beginner Google video training that I can release through my YouTube channel. Here’s one thing, I have a lot of people right now on Facebook live and obviously there are also a lot of people on YouTube. If you want to be the first to basically get all my latest video training which I’m going to release a new video training this week and if you want to be the first to actually watch it and take action. You have to subscribe to my YouTube channel that’s like once I actually have it up; YouTube will send you an instant notification to tell you that I have a new video training up to that you can actually watch right away. If you want to be the first to get this training make sure you subscribe to my YouTube channel. You were asking me if I can pick one of the two, well I answered two for you, Stephanie. [0:09:08] Question 2: How many time (How long/How much time) should I leave an ad on Facebook to know it’s going to generate profits or not? Let me rephrase your question. I think you’re trying to ask, how long should I run my ads on Facebook or how long should I leave my ad on Facebook to know that it’s going to generate profits or not? This is really a great question so it really drills down to first of all; you need to know what your cost per acquisition goals going to be. Let’s say for example if you’re selling me a Starbucks coffee, Starbucks charged me let’s say for $5 for a latte. That’s how much Starbucks make but that’s not their net profit. They have to add labour, cost of goods inside to that order so in reality, they’re not going to make the entire $5. You need to know exactly how much that profit you’re going to make first to identify what is the cost per acquisition goal that you need to have in place that’s going to break even. Let’s say, for example, it will cost Starbucks $1 that includes labour and cost of goods. In this case, let’s just say the cost of goods right now. It cost of a $1 to actually sell me a $5 drink so that means that Starbucks only makes $4 net profit. With that, that is actually your number for a break and even. When you first start running ads, obviously what I do is the following. I look at my ads in 24 hours, 48 hours, 72 hours and even as 86 hours but I really look at it in the first three days because those first three days really tells me a big story. In this case, what I would normally do, I run the ad for 24 hours I want to see if I get a sale or not. If I am not getting a sale and you may have spent $5 already. Now obviously if I’m selling a $4 net profit product, I’m technically losing money. If you’re like, “Well, what am I going to do next in order for me to actually see if it’s going to generate profit or not?” I looked at what we call the cost per click link. It is very important because you want to make sure that you are actually having your ad getting the lowest cost per click link possible. So you are basically saying you know what first day I’m not getting a sale but my click it is actually costing me more than a buck. Then it is an indicator that number one, you did a product itself it’s not going to sell or there’s going to be a problem with your creative, the creative in terms of your ad itself. What I do next is I look at what the click-through rate is going to be. Is the click though rate above 1.5% or is it below 1.5%? Even if it’s below 1.5% then chances are there is something wrong with your creative and there is something wrong with your product itself. So the first 24 hours if I don’t hit those numbers I would actually just pause the ad right away because when I’m already serving to the market they’re not responding to it then what’s the point of wasting more money to actually keep making those people buy. That’s what I look at; I look at 24 hours, 48 hours and 72 hours. On the other hand, let’s say that if you have been on day one let’s say that you have no sale but your cost per click link is less than a buck and your CTR is actually above 1.5 %, I will let it run for another day or two and relook at those figures but at the end of the third day if even though that you’re getting a great cost per click link and a great CTR link and you’re still not getting a sale. Then this is what you want to look at, you want to look at how many people actually added the product cart and how many people abandoned the cart at the same time because it will tell you if you price the product too high or too low. Because if you’re getting a high click-through rate and that means that the product is right but if you’re not getting a sale and that means that you maybe charging too much for your product, you want to actually decrease it. These are the variables that I actually take a look and determine. So how long would I really run the ad? And the simple answer, I run it for 24, 48 and 72 hours that’s what it is, my bad. I really look at it throughout these three days because these are prime days right away and you don’t want to waste your money and keep forcing those people to buy. Because maybe you found the right audience but it’s just that either you price the product too high or the product doesn’t really resonate with the audience or your creative just need some work. So that’s how I would really run it. Now, obviously, if you’ve been getting your cost per acquisition, your cost per purchase I just say lower than what your net profit is going to be then that’s good for you. You start scaling it up. That’s the answer to your question. [0:14:32] Question 3: When starting out in e-commerce, is it better to go to a general store or niche store? That’s a great question. When it comes to the general store and niche stores both ways work. The general store works, niche store works but at the same time there is an advantage and disadvantage with either of them and let me share to you what they are and you make the decision from there. Let’s start with the general store first, with a general store the advantage of the general store is that you can virtually sell whatever you want in whatever niche you want you can sell watches, phone accessories, gardening supplies, kitchen supplies or whatever. It gives you that diversification for you to actually have one store and sell a lot of products is simply like having Walmart. You’re basically a Walmart that sells a lot of products into your store. You will potentially confuse the Facebook pixel and in order for you to actually bypass this, you need to create custom audiences based on selected products. We actually have an app that is called pixabay that would allow you to do this if you are a Shopify store owner. With that, what you wanted to do is when you’re running your Facebook Ads one of the most important things is that you always want to run a website conversion objective. So, you’re basically telling Facebook that “Hey, I want to get a sale for this particular product”. Now, obviously, if you don’t do custom audiences based on your product purchases or you don’t actually use pixabay what’s going to happen is that you are going to confuse Facebook pixel by simply going after an audience or going after the market that maybe all at random things. When you are trying to sell a phone and then Facebook sees that while you’ve been getting people that are kitchen supplies, gardening supplies, hunting supplies. It will confuse the back end of Facebook on knowing what is exactly you are selling. And by doing so you need to create a custom audience. I had the problem before where I started to diversify my portfolio into selling other product that is not within my niche. In the beginning, it was great but long term wise I actually sabotage the main products that I was selling well because I started to confuse the Facebook pixel. So that’s the disadvantage. The other disadvantage is that it’s very hard for you to actually create a relationship with your customer; just like Walmart what do you do? You simply go to pick the products you want, go to the cashier and you leave. You don’t make a simple relationship with the cashier. You don’t make any relationship with anyone from Walmart or representative from Walmart because you are technically a general store. You just go in buy the things that you want and you leave. And what will attract you to go back well maybe weekly flyers, in that case, weekly email promotions on new products, discounted products, etc. etc. so that’s the disadvantage because you’re not building a relationship and we all know that when it comes to profit the back end and emails can actually generate a lot of profit for you. Let’s talk about the niche store right now. 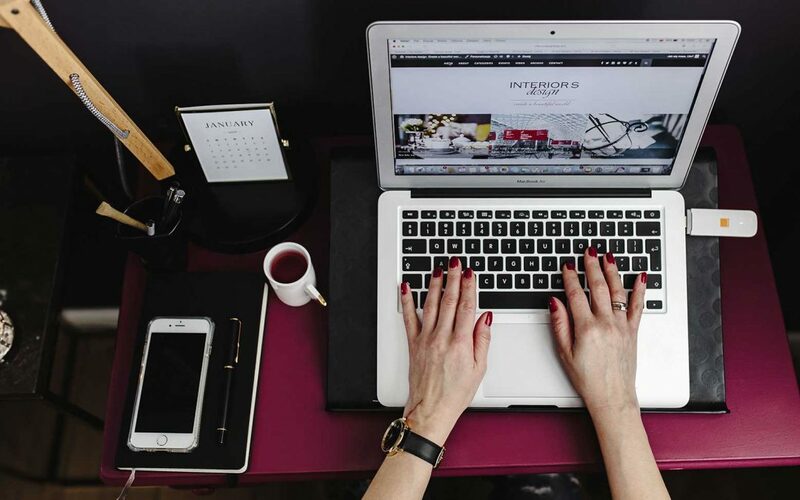 When it comes to the niche store, here’s the disadvantage first. Let me talk about disadvantage first. The disadvantage is that you are going to actually put yourself into what I call the box. You are only able to sell products within your niche. Let’s say that you have a hunting store. Well, guess what, that means that you can only sell hunting products. It doesn’t make sense for you to actually sell things like a necklace in a hunting store. It just doesn’t make sense. Your audience will get confused, “Why the heck is a hunting store selling accessories a neck or whatever? 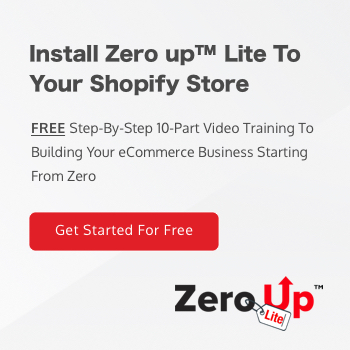 !” But having that then guess what, you are having fewer products that you are going to have into your store and if you want to sell into other niches then well you have to basically create a brand new store, you have to pay for Shopify payment, adding some new apps and going after a different market. So that’s a disadvantage, the selection of products is actually one of the disadvantages. [side talk 19:09-19:50] Anyway, going back to the niche store. Now let’s talk about the advantage of a niche store. The advantage is that you would get to have the ability to create a relationship with your customers because you identify your customer’s avatar. Let’s take the hunting store as an example. If you are a real hunter and you love to go hunt bears or deer which I’m totally against. It’s actually sad seeing them getting shot but I respect it, I’m not fully against it but I respect hunters but at the end of the day I wouldn’t be the person hunting. But for a hunter, you would want to actually talk to a store owner that hunts at the same time. If I know that you love hunting I can actually send you more content about hunting because my store is all about hunting and everything about hunting I know that you will potentially buy. If I give you more content about hunting, you and I are going to build a relationship, so what’s going actually lead that to? Well, guess what now you can actually go and introduce digital products, basically selling how to hunt bears or how to hunt deers or you can sell digital products revolving around survival, camping because I know that since you’re a hunter you look for all this information. Another thing that you can actually go after is basically potentially selling other bigger hunting supplies. Let’s say when you have a niche store that’s selling well in the hunting space and you actually have a good amount of customers and a decent amount of traffic going to your store, well guess what, use that portfolio and then go and find branded hunting supplies that can actually carry your products and sell like $500, $600 or $1,000 worth of goods because you have that following. If a hunter-supplier actually sees that they will basically give you the opportunity to sell the products which makes your store more unique. Then there are other things that you can do. You can create a subscription like the hunter’s inner circle or something and basically give them like a weekly newsletter and video about hunting and all those other stuff. It will give you more diversity of what you can actually sell and not be restricted to just selling products. [side talk 22:21-22:30].Tim said all of this talk about hunting is making me hungry. Anyway, going back in there I’m starting to get hungry too. Anyway, the truth is that’s the advantage and disadvantage. For me I love niche store because I’m always creating a long-term plan for my business. I don’t just want to go in selling the trending product that works the most and then move on to another product and move on to another product. I call this the chasing market and it will be tough for you and the back end profit is not going to be as high. So again, both works it’s just that I’m more going for niche store over a general store. But again, both works. I’m really showing you the advantages and disadvantages, the decision is yours. [0:24:09] Question 4: I have a question, I have been running Facebook ads with high relevance score i.e. up to 8, a large number of impressions 1.43k and a reach of 1.33k but I get no visitors to my Shopify store...what could the issue be? I would expect that with that level of reach at least people would click on the link and visit the store. This is a brand new store with no sales yet hence no email list yet. The objective is for conversions targeted at getting traffic for purchases. I hope that you’re choosing the right objective. You’re saying you’re choosing conversion target at getting traffic for purchases so I would believe that you are setting up your campaign based on conversion and most likely you’re based on the purchase pixel. Make sure that our objective is right first. Now you’re getting a very high relevant score and you are getting no clicks to your store. Here are some of the problems. It is a very common problem. Your ad is not direct enough to actually get them to click and visit your store. There’s a new habit of mine when it comes to Facebook ads is to always have and I use tiny.ie is to have a link at the posts and also like shop now button so people know that there has a link that they have to click on. Now the second thing is your creative itself. Your creative may not be directly selling a product or it may be basically a post that people just engage in and they are absolutely not knowing that there’s a product for sale. I have seen a lot of ads in my past with my students on a very nice and amazing product but it doesn’t really say that they’re selling it. People are just virally sharing it so in that realm of things here’s what you want to do Gina. Go back to your Facebook ad account and look at the clicks all not the link look at them all and I would assume that if you’re getting such a high relevant score, you are getting a lot of people that are clicking but not clicking on the link. They are just basically sharing, commenting or liking that post. And if that’s the case and guess what you have to rewrite your ad. I think that’s what the issue is from a bird’s eye perspective based on your question is that your ad is just not direct enough to get them to your shop and you’re getting a lot of people, you’re maybe posting something that is very viral. Anyways, that’s what I believe it is, you would want to look at your ad and maybe it just that it is just a viral content that people thought. So, if you look at your data again and you realized that you have a high click-through rate and I would suspect that is the case if your relevance score is at eight, if that’s the case then that really means your ad needs to be rewritten. The other thing is you may not be looking at the right data because if you’re getting like no traffic where you’re above the score of eight, I don’t know if your link is working. Have you tested your link? That’s another thing; do you put the right link in your ad? So test it out yourself. So those are the issues or the things that I can think of right on top of my head right now. Hope that helps you out. [0:28:35] Question 5: Do we need to change the old personal account FB pixel we installed on our website if I created a new business ad account using the same old advertisement? Here’s the thing take a step back and understand this correctly. Facebook business manager account is kind of like an agency. You created a business manager account when you created a business manager account it is simply like an “agency account” where you hold all the other ad accounts. So when you already have a Facebook ad account running without a business manager account what you need to do essentially is to get a business mange account that will basically have your personal ad accounts inside there. So then by that time you will have other ad accounts on your holding on your agency side of things. When you already have your pixels all set up when you actually have ads all set up leave it because it is working. All you’re doing is that you’re tagging your ad accounts to your personal ad account into your business manager so your business manager actually owns and holds all these ad accounts under whatever you’re main thing is going to be and by having a business manager account well here’s the reason why I stress about having a business manager account. Number one you can actually create more ad accounts with a business manager account. If you’re just using the personal as manager you could only create one ad account and if that ad account gets suspended guess what you would actually need to find either your husband, your wife, your girlfriend or boyfriend, your family member’s Facebook account to create a brand new one however when you have a business manager account you can immediately create 3 to 5 more ad accounts under your name. So, in case one of them got suspended you still have a couple more for you to actually use. So that’s the main reason why. The second reason is that you if you travel a lot like I do, Facebook security is just so strict in a way where it actually upsets a lot of people too. Let’s say that if you basically are always logging in for me like I go in Vancouver in Vancouver I’m creating my ads and I have to travel to like United States to like let’s say Phoenix or Austin Texas and if I fly there all of the sudden my IP address gets changed going into Facebook guess what, Facebook would thought that someone is hacking into my account and they’re just going to basically pause everything and make sure that you are “protected”. So, that is going to be a big, big hit to your business if Facebook will actually have to stop everything and you are going to file an appeal that yeah this is actually me but if you actually logged in through a business manager account that will be fine because they know that it is an agency, you will need to travel here and there and that way is just not being less vulnerable on getting your account suspended. These are the two main reasons why. 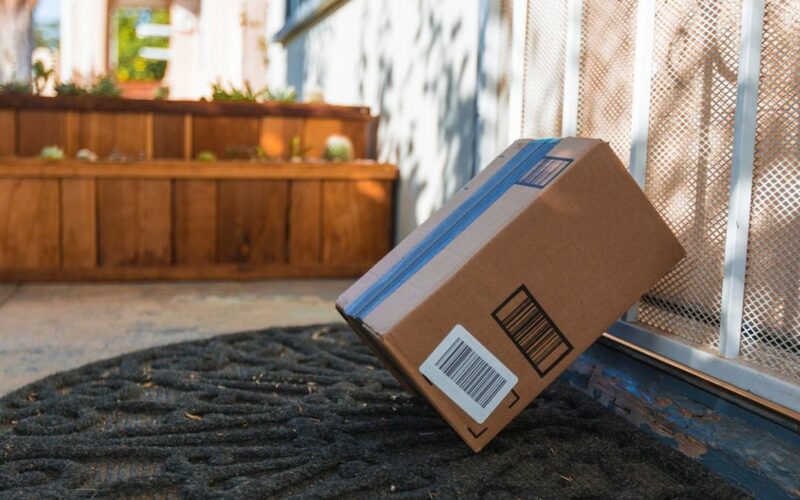 Now, the third reason is also because of something called that is pretty much advanced for those of you who are advanced its sharing the pixels and sharing the product catalog. If you have a business manager account and you want to actually share your audiences from one ad account to another ad account under your business manager accounts you can actually do that all within the business manager account that’s why I keep stressing that you guys need a business manager account. But anyway answering your question in short, the business manager account is just like a holding account. It just holds your personal ad account and any other ad account that you basically wanted to create or if you want to collaborate with a co-worker or a teammate or a business partner that’s where it all comes at play. I hope that I really answered your questions. Daniel just said I just jumped in and I can tell there’s value in this talk and I got people saying FB security is annoying, it’s helpful and annoying if that make sense. Yep! I absolutely agree with you. But anyway, those are all 5 questions for today and I hope that you guys actually learn something very, very valuable in this daily huddle episode number 2. We’re only on episode #2, put in the word “Powerful” right into the comment box and the live chat if you guys actually learned a lot of valuable information in our daily huddle and again we’re going to be doing this every day and today is only our second day so I imagine like a month from now, two months from now a year from now how much content we are going to actually have altogether and we’re going to basically collect all these content put onto our website where you guys can actually just simply go because each of you are at a different stage in your business some of you already building one, some of you guys are in the process of building one, some of you guys are scaling up one at different times. You guys can actually take advantage of all of those. I got a lot of people saying “Powerful” right now, that is excellent. Let’s see I’m seeing a lot of comments coming in right now, excellent. Anyway, that’s really it for today’s section on our daily huddle. So remember, again make sure you subscribe to my YouTube channel and you follow me on Facebook because we are going to broadcast this live, our daily huddle every weekday Monday to Friday and if you have a question make sure you go to www.fredlam.com/ask and ask your question in there and every day I’ll pick 5 questions and I’ll answer them as full detail as possible and basically share them with you guys so you guys can actually learn and we can create some valuable content and training of that. So that’s it for this video and also watch out for my email this coming week. I got an amazing video training for you guys especially for those of you that actually wanted to build a business and you have a very tight budget, watch out for that email and next week we’re going to basically have an amazing workshop. Make sure you check my email, check my social media channel. Next week’s workshop it’s going to blow you away. Alright, that’s it for today I’ll see you guys tomorrow. Alright, bye now.